After one of the Italian Marines facing murder charges in India suffered a brain stroke, the Supreme Court has exempted personal appearance of the marine before police for two weeks. The SC sought a response from the Centre on a plea by one of the Italian marines, facing murder charges in India, to travel to his country for medical treatment for two months. During an initial hearing of the case today the Supreme Court passed the said order for Latorre, accused of killing two Indian fishermen accused of killing two Indian fishermen off the coast of the south Indian state of Kerala, mistaking them for pirates. The apex court bench headed by Chief Justice RM Lodha, while asking the Central government to respond, set the next date of hearing on 12 September and asked the Additional Solicitor General (ASG) P.S. Narsimha to file the Centre’s response by 12 September when it will hear the matter. The bench, also comprising justices Kurian Joseph and Rohinton F. Nariman, asked the ASG to make the stand clear whether the Centre has any serious objection to the plea of the ailing marine. Senior advocates Soli Sorabjee and KTS Tulsi appeared for the Italian marines Salvatore Girone and Lattore. Tulsi submitted that Italian Ambassador to India, Daniele Mancini, who was present in the court room, was ready to give any undertaking in this regard. Latorre had submitted a request to the Supreme Court to allow him to return to Italy for his “more rapid and complete recovery”. 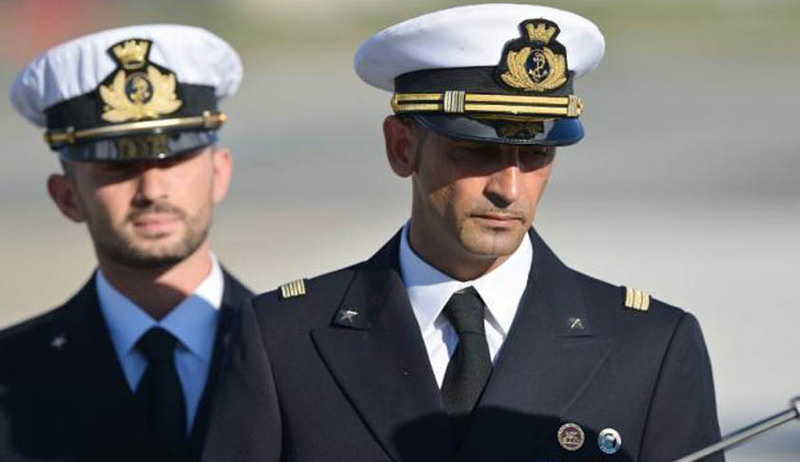 Meanwhile, the court has relaxed its order mandating both the Italian marines to report to the Chanakyapuri police station once a week, permitting Latorre exemption for two weeks starting from 31 August. He had sought permission from the SC to return to Italy on health grounds. On which, the SC has reserved its verdict till September 12, saying that it will have to seek Centre's response over the matter. The Marines, Massimilliano Lattore and Salvatore Girone, have been held in India since February 2012. Latorre had yesterday submitted a request to the SC to allow him to return to Italy for his "more rapid and complete recovery" after he suffered a condition similar to a mild stroke. His lawyers had submitted a request to the SC of India for his return to Italy to allow his more rapid and complete recovery, a news agency had reported quoting Italian Defence Ministry. The request for return of chief Latorre is "motivated by the illness that necessitated admission (last Sunday) in a hospital in New Delhi, the agency said. Last week, Latorre was hospitalised with a condition similar to a mild stroke and Italian Defence Minister Roberta Pinotti also flew to check on his condition and to show support for his family members, who are with him in India. The marine has been responding well to treatment in the neurology department after he lost consciousness due to mild cerebral ischemia, or restriction of blood supply, the doctors were quoted as saying by the news agency. After the incident, Italian Foreign Minister Federica Mogherini had said in Rome, "As it has always been in these months, we follow the case of the two marine riflemen every day, with the aim of bringing them back to Italy, it is a priority for the government." "I feel close to Massimiliano Latorre and I wish with all my heart that he can get back as soon as possible," Mogherini had said in a statement. Latorre and Salvatore Girone are charged with murder of two Indian fishermen during an anti-piracy mission while guarding the privately owned Italian-flagged oil-tanker MT Enrica Lexie off the coast of Kerala on February 15, 2012. They are living at the Italian embassy here after being detained two-and-a-half-years ago.